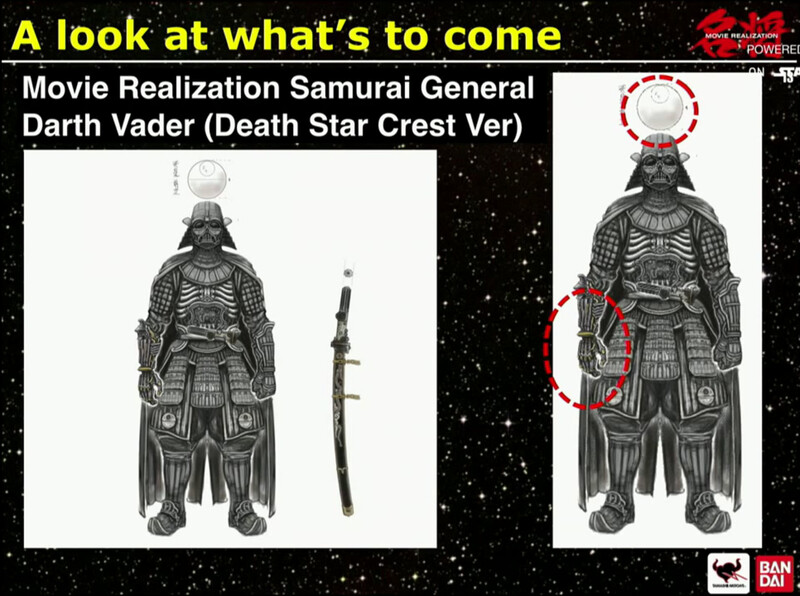 At Star Wars Celebration, Tamashii Nations revealed a few upcoming Star Wars Movie Realization items. 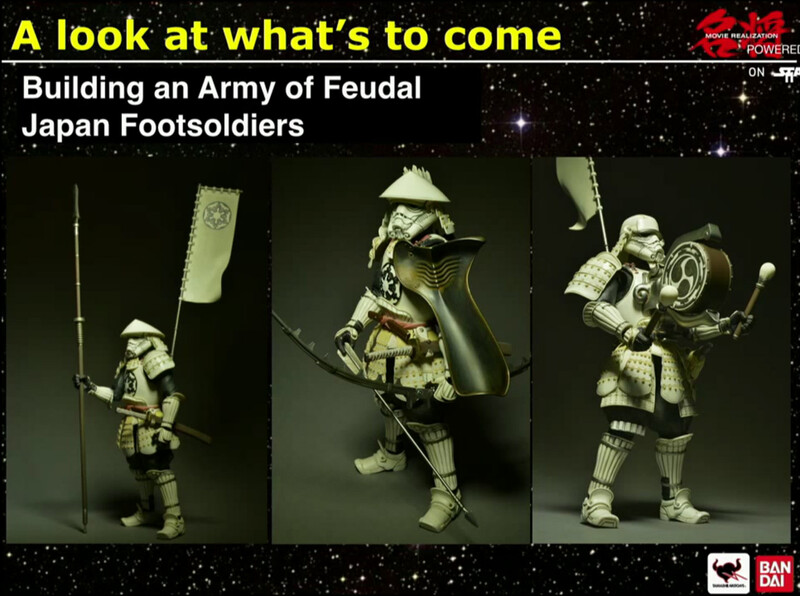 These are Tamashii’s redesigned Star Wars figures, which are meant to evoke classic Japanese designs. 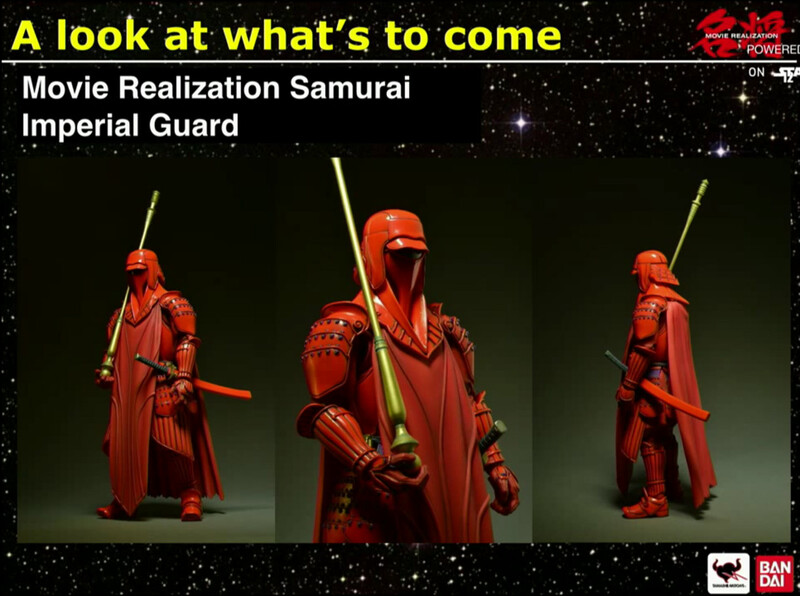 Included in the reveals is our first look at the art for a Ronin Boba Fett as well as our best look yet at the Imperial Guard. In the photos, we get new looks at the Darth Vader and some new;y announced Stormtrooper variants as well. The images come courtesy of Pop-Critica. Check them out after the jump. 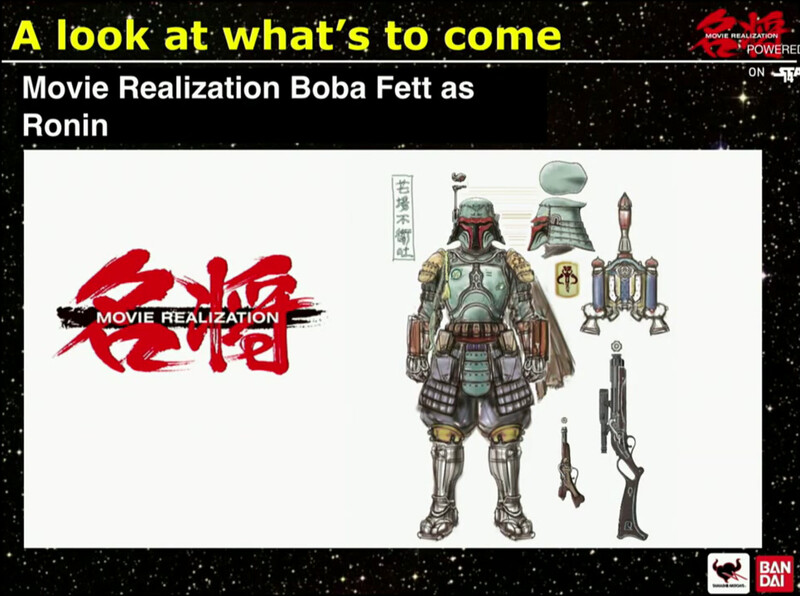 That Ronin Boba Fett is fantastic. Yes it is! I really don't need to collect more stuff, but wow, these are tempting. It's times like this I'm glad I don't collect Star Wars stuff. I'd never be able to collect anything else if I did. Are those last three stormtroopers separate kinds? Like one with drums, one with bow etc. GOD NO! MY WALLET! I've been skipping these do to price but these are FAAKKING AMAZING!! Welp, that's a good excuse to have multiples then. I refuse to army build, but I allow for variations.